Cleansing is an essential part of my skincare routine, for me whether I am wearing makeup or not, a proper cleansing of the skin is a must. 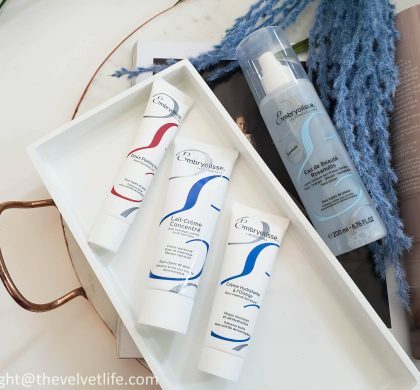 With years of trying and experimenting with my skin and the products I use, I have come to the terms with my skin to cleanse my skin thoroughly and properly to keep it happy. That does not mean I have to squeeze out that single last piece of oil or dirt off my skin, the aim is to cleanse everything that is either applied on the skin or everything that has come on the skin as a result of the natural process which skin goes through all the time which may be oil, dirt, grime due to environmental, aging, hormonal reasons. I have done the single cleansing, double cleansing, and even the triple cleansing sometimes. The results differ in all cases. Single cleansing is all I do in the mornings, keep in mind that I do it only when I have cleansed my face the night before, which is what I do without forgetting any single day. Double cleansing most of the evenings when I am wearing makeup or sunscreen. And triple cleansing when I am wearing heavy makeup or when I do feel like my face is clean after double cleansing. I have been lazy in the past and stop at double cleansing thinking it is enough but next day or two, new acne will show up, means I am not cleaning my face properly. You know yourself and your skin the best and when you feel something about yourself, you should be serious about it. So coming back to my cleansing routine, in the evening, either I go for double cleansing or triple cleansing. 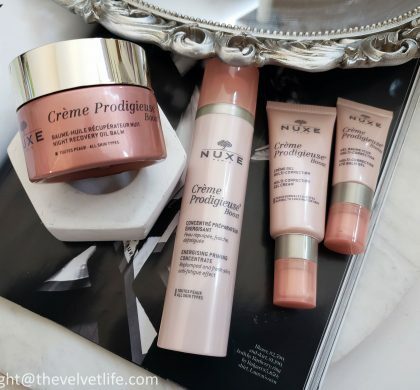 I am going to refer to the Cle de Peau Beaute Cleansing products which I have been using since last few months and have become favorites for their effectiveness and the results. To make out the most of your first cleanse means the makeup remover, I prefer something that does the work well and removes my makeup completely, specifically the eye makeup first, instead of me rubbing my eyes and then going for another cleanser to clean the sensitive eye area. Then I go for the full face makeup removing, proceeding to the second cleanse. 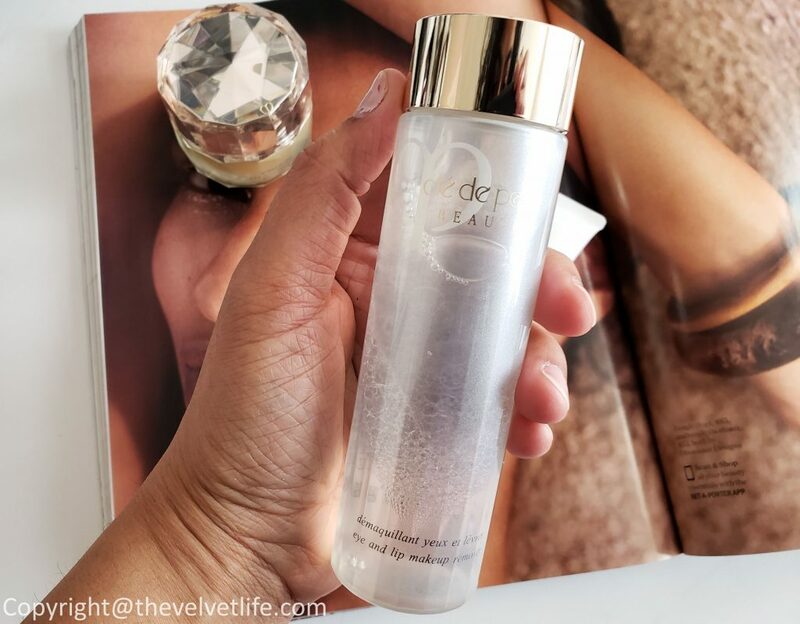 I have been using the Cle de Peau Eye and Lip Makeup Remover (CAD $65) since last few months and really enjoying it. Yes, enjoying it because it is so gentle yet so effective, never irritates my sensitive eyes and eye area. 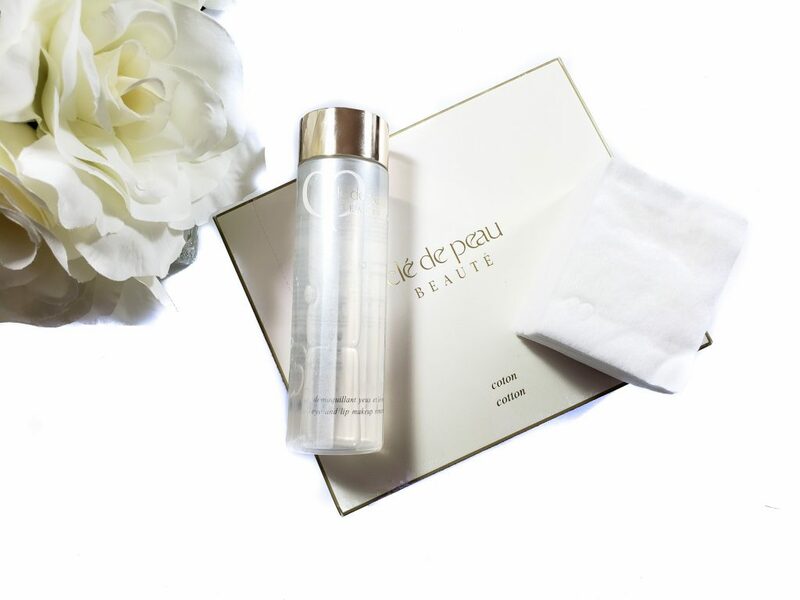 Cle de Peau Eye and Lip Makeup Remover is defined as the luxurious makeup remover for the delicate eye and lip areas that feels divinely silky and leaves skin dewy soft while effortlessly removes even heavy, long-wear and waterproof makeup. This bi-phase formula gives skin around the eyes and lips a beautiful supple look while also protecting eyelashes with Argan Oil and Camellia Oil. I am really impressed with this makeup remover and would not be hesitant to say that this is one of the best out there. It removes eye makeup like no other, feels very comfortable to use, never stings the eyes, my sensitive eyes never water when I use this. To use it, I do shake it well and then dab few drops on the cotton pad and then straight to my eyes and lips. I hold it onto the makeup and then wipe off gently. The product has a very subtle yet luxurious fragrance of natural roses and rare orchids. That makes it a really pleasant experience to remove makeup and make this my first thing to do when I reach home. There is very less oil content in this product which does not leave that oily residue which seeps into the eyes after removing the eye makeup as many other eye makeups I have used do. The key ingredients include Golden Silk Essence to combat loss of clarity, translucence, and suppleness, Japanese Pearl to leave skin satin smooth, Theanine to even skin tone, and Scutella Baicalensis Extract to support skin’s beauty. After removing my makeup, I go for either my regular cleanser or twice in a week, I go for exfoliating my skin. I prefer exfoliation during my evening or night skincare routine after removing the makeup. 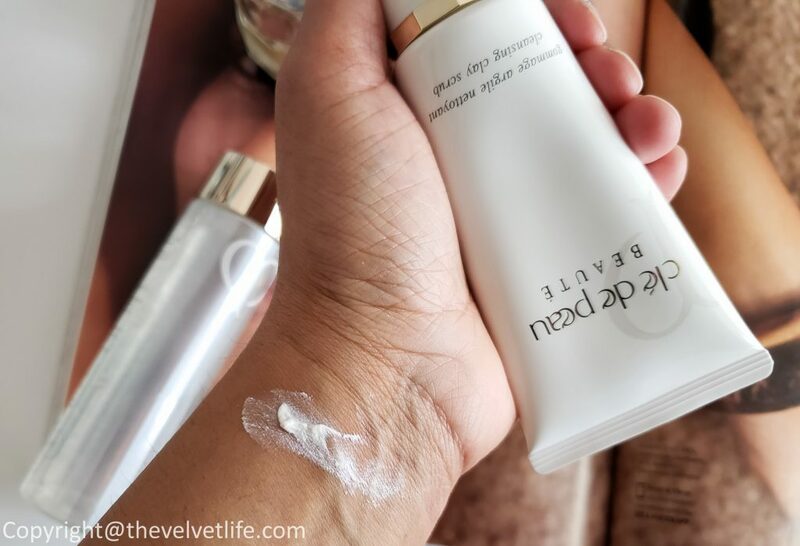 Cle de Peau Cleansing Clay Scrub (CAD $82) is something that can be used as the second cleanser after removing makeup, in place of the regular cleanser for two-three times in a week. Cle de Peau Cleansing Clay Scrub is described as a gentle mineral-rich cleansing clay scrub that delicately exfoliates while removing impurities, especially from pores. Skin looks visibly renewed, soft and radiant with captivating translucency. 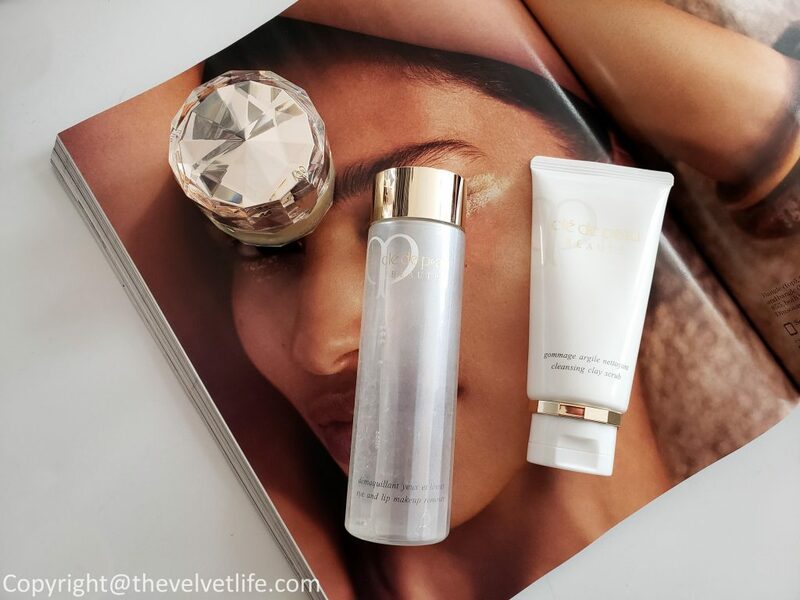 The key ingredients are same as mentioned in the Cle de Peau Eye and Lip Makeup Remover and include Golden Silk Essence to combat loss of clarity, translucence, and suppleness, Japanese Pearl to leave skin satin smooth, Theanine to even skin tone, and Scutella Baicalensis Extract to support skin’s beauty. I have used it for few weeks and loving the results. The texture is very creamy clay and there are some grains which are very few in quantity, the most you feel is the creamy texture. I take the clay on my moist hands and apply it onto the face, avoiding the eye area and then massage it gently with circular motions over the forehead, cheeks and chin area, including my neck. Then I make sure to rinse it thoroughly, like really thoroughly. The result is radiant, soft skin with no residue. Another important thing which I use every single day of my life is the cotton. Good quality cotton is really important to me, I did feel the difference when I first moved from the supermarket cotton pads to Shiseido ones and now adding these Cle de Peau Cotton to my routine. Cle de Peau Cotton (CAD $30 – 120 sheets) is described as the pillow-like cotton pads wrapped in soft silk that feel ultra-indulgent on skin designed especially for skincare. It is made with precious natural silk that helps improve the application of effective ingredients contained in skin care lotions and emulsions. This cotton does bring the feeling of exceptional luxury to skin with a smooth delicate texture. It uses a fine-textured silk and cotton surface to provide an exceptionally smooth and comfortable massaging sensation on the skin. It is developed using production methods that create a superior cushiony lint-resistant weave. Clea de Peau is a brand I have recommended much in the brand, their makeup, and skincare is exceptional. 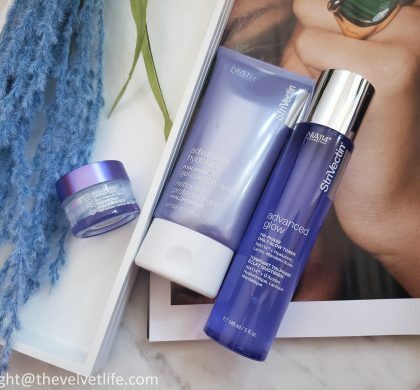 I am happy to have these added to my skincare routine. 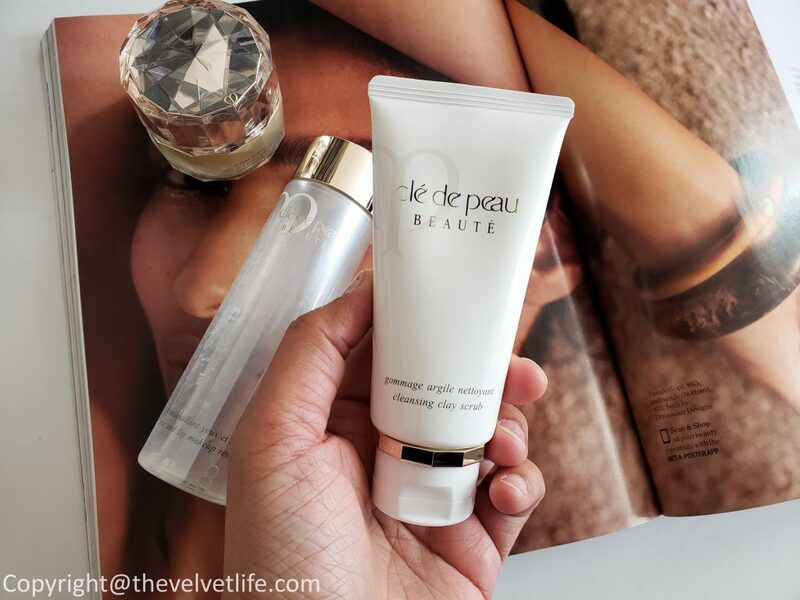 Cle de Peau Beaute products, including Cle de Peau Eye and Lip Makeup Remover, Cle de Peau Cleansing Clay Scrub, and Cle de Peau Cotton is available at Holt Renfrew, Nordstrom, Neiman Marcus, and on the official website of Cle de Peau if you are in the US.